← Club Twinbrook: Safe Kids Night In – Fun Parents Night Out! 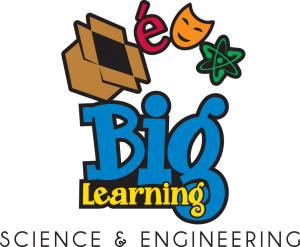 Registration for Big Learning Foreign Language: FLES and Science & Engineering classes is now under way! We encourage you to jump on to our website today at www.biglearning.org to find out what classes your PTA will offer this fall. Look for S&E Kaleidoscope & Optrix for grades K-1 and 4-5, and Building Big and Small & Illusions for grades 2-3 and 2-4. Classes are offered Wednesdays from 3:30-4:30. We are rolling out an exciting program this fall with some changes that will make our classes even more interactive and fun for your children. Programs begin the week of October 14th and classes are filling up fast so make sure to register online today to reserve your spot! The new registration deadline will be Friday, October 4th. All classes will now begin the week of October 14th. Online registration is being updated to reflect the new dates. For questions, please contact Michelle Manning at michelle_manning@hotmail.com. See the Big Learning flyer for complete descriptions.